Are you wondering whether to have a polished concrete floor in your workplace or home? We have created a PDF of the ten things our clients want to know about polished concrete floors. Our PDF offers plenty of information to help you make up your mind as to whether a concrete floor is right for you. Download our free PDF that’ll give you answers to the 10 most frequently asked questions by our customers. 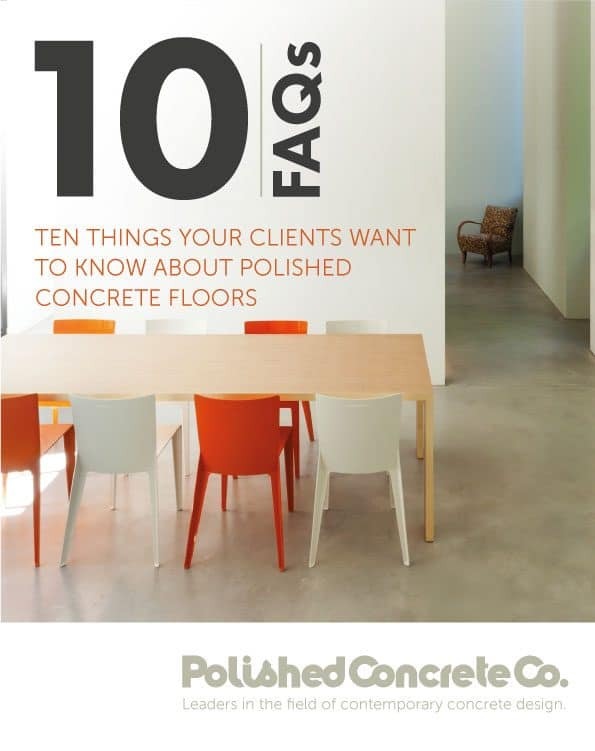 Download the Ten FAQs About Polished Concrete PDF.